Navy blue long dress featuring in cotton. 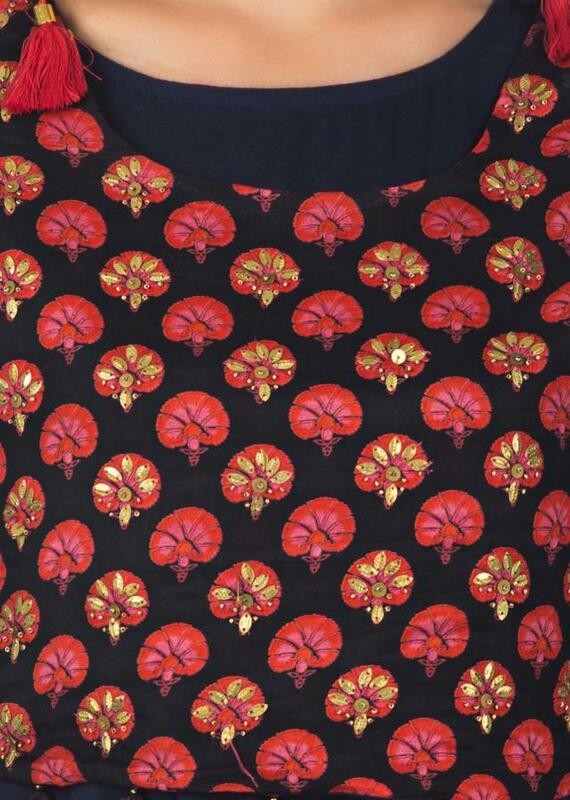 Matched with navy blue top in santoon with printed butti. It comes with fancy tassel and tie up at shoulder. 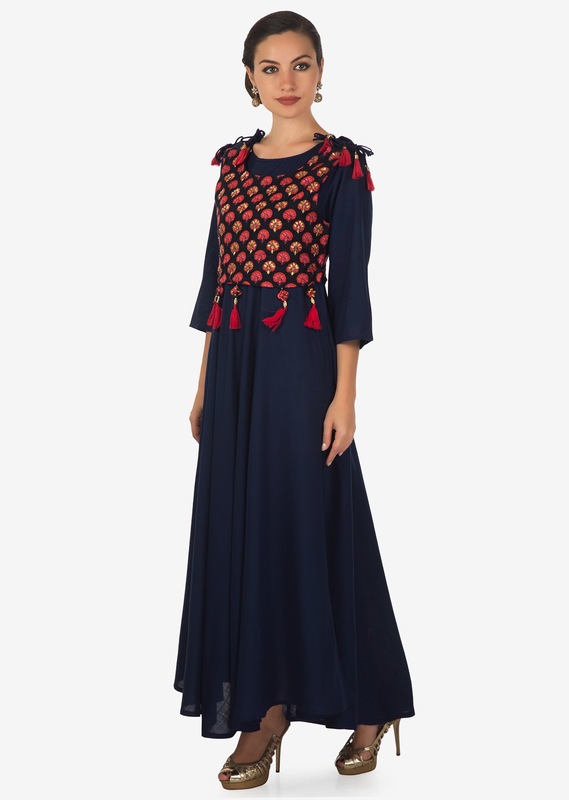 https://www.kalkifashion.com/navy-blue-long-dress-in-cotton-with-navy-blue-printed-top-in-fancy-tassel-only-on-kalki.html 18661 Navy blue long dress in cotton with navy blue printed top in fancy tassel only on Kalki https://d8evit4zy2nlo.cloudfront.net/media/catalog/product/n/a/navy_-blue_-long_-dress_-in_-cotton_-with_-navy_-blue_-printed_-top_-in_-fancy_-tassel_-only_-on_-kalki-434893_3_.jpg 47 59.0000 USD InStock /Kurtis/Ready To Ship /Kurtis/Festive Kurtis /Kurtis/Long Kurtis /Kurtis /Kurtis/Casual Kurtis /Collections/Maternity Dresses /Kurtis/Under USD 50 Kurti Navy blue long dress featuring in cotton. Matched with navy blue top in santoon with printed butti.It comes with fancy tassel and tie up at shoulder.